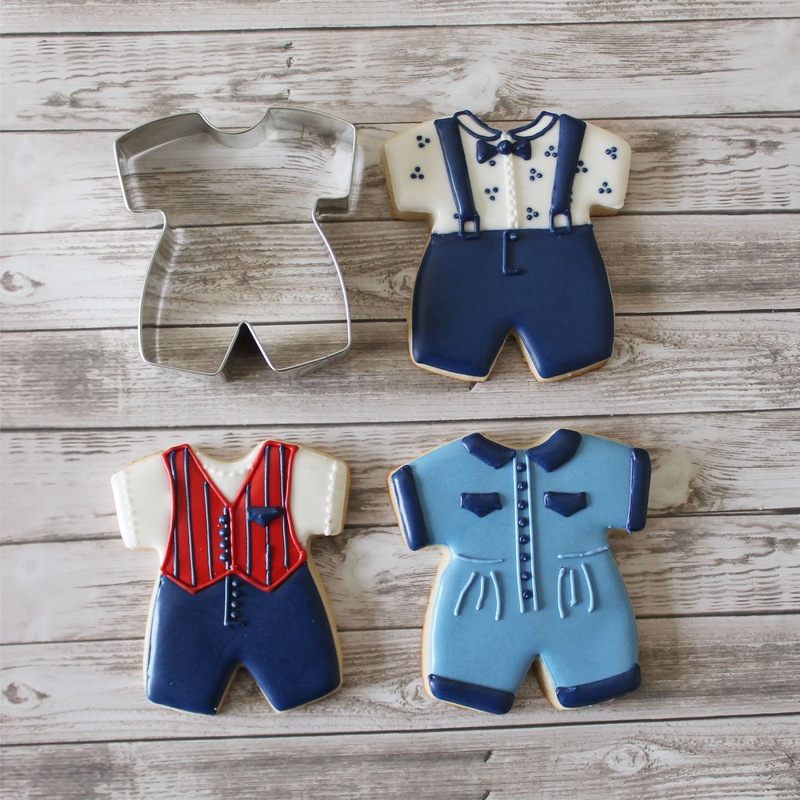 For baby showers we usually decorate some onesie cookies. I was getting a little tired of it. I wanted something different, more cool. So I designed this romper shape and Ann Clark created the awesome cutters. Of course, I couldn't wait to play with this shape. 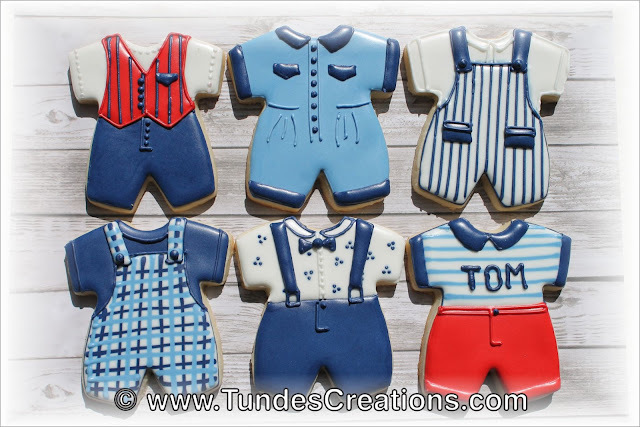 There are so many ways to dress this little guy! I share these 6 designs with you and I can't wait to see what you will come up with. You can get the cutter from Ann Clark.